On the heels of his first No. 1 single at Country radio, “Hurricane” singer/songwriter Luke Combs joined Jim Cantore on AMHQ on The Weather Channel today (watch here) to announce that he will play three back-to-back album preview shows for fans in advance of his album This One’s For You, releasing June 2. Returning to three landmark cities and venues where Combs’ music first got its start, Combs will celebrate the release of his long-awaited album with fans at Joe’s On Weed in Chicago, Illinois on May 30, The Basement East in Nashville, Tennessee on May 31 and cap off with a hometown performance at The Grey Eagle in Asheville, North Carolina on June 1. 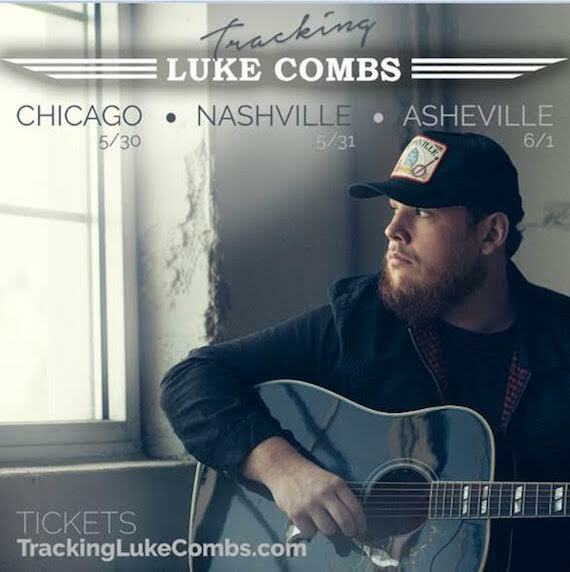 Combs has teamed up with Jim Cantore and The Weather Channel for “Tracking Luke Combs,” an interactive experience that will allow fans to follow Luke’s tour, offer behind-the-scenes looks at life on the road and opportunities to get an inside view of each show. Fans can purchase tickets for the Chicago show now; Asheville and Nashville tickets will be on-sale this Friday, May 19. Tickets are available at TrackingLukeCombs.com.